The Posse had lots of company in the Challenge Line in 2006 as a fair number of challenges were phoned-in and Posse audio theater had a full playbill. 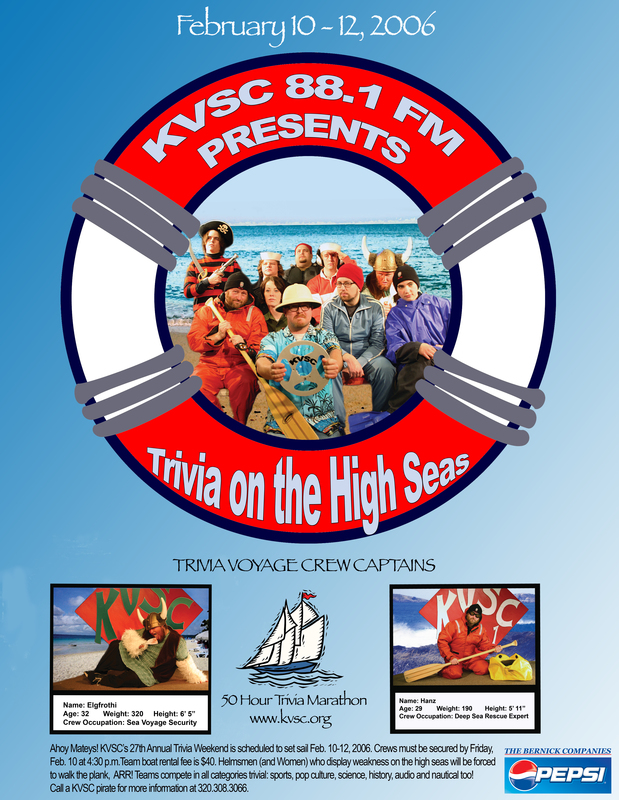 The Goat Posse players had fun this year as both Pirate at the DMV and Trivia on the High Seas Top Ten were written on-site at the KVSC diner booth. Pirate at the DMV was ably acted by Phal and Fluffer, who provided a very convincing Minnesota accent considering she is from Milwaukee. Trivia on the High Seas Top Ten was written and performed in the manner of an earlier top ten produced in 2001 that featured a Greek chorus style format. Like in the previous year with TSI: Trivia Scene investigation, the intro was structured in a story format. Wildman sketched out a story about going fishing, being sunk by a torpedo then being attacked by pirates. He used his Jedi-like powers (first discovered while making Viva Las Trivia) to organize a list of 200 audio quotes to tell the story. Capt F. then brought the script to life in a furious three-day effort. The intro clocked in at a monstrous 10:30 but it was missing something. Wildman and Capt F. huddled at the hotel the night before the contest and Wildman concluded that their were not enough pirates in the piece. Huddled between two couch cushions, Capt F. recorded a few more pirate passages and they were dropped into the production. The result is one of the most technically and aesthetically satisfying audio productions Capt F. has ever made. Oh, and don’t forget to enjoy the pirates! In past years, the Posse has produced gag reels. However, this year was a watershed thanks to the inclusion of out-takes from The Voice of Corn‘s Celebrity Stink announcer recording session. His insistence on not pre-reading the copy, his wry side comments, and a few well placed “beeps” in post-production set the format for this new tradition. Now the Posse makes a point to make a “review” piece every year which is played after the last question in hour 50 is closed. This provides the book-end to the intro and summarizes the 50 hours of Trivia according to the Posse. Another outdoor challenge. The Posse loves these. This challenge has a DNA component that the challenging team claims they can test. It wasn’t Pigs ‘R Us so who else hijacked the state crime lab? Every team has at least one of these people on their roster, the unlucky teams have more. These trivia parasites occupy space, contribute to the foul air, and eat all the food. The one thing they don’t do is answer questions. This was the Posse’s second Stink offering and while funny, suffered from a lack of editorial discipline. There is a bevy of celebrities that have made rancid music albums, however some could have been left out of this commercial that stretched to infomercial length. 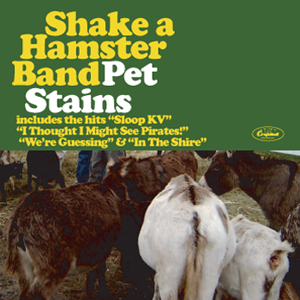 The whole experience spurred the Posse to take a year off from the Stink series in 2007 and return in 2008 with sharper writing and editing. The sad part is that this automated message was so convincing that a few people actually fell for it. Goat Posse audio theater that is reminiscent of the Chorus of the Living Dead from 2001 as various voices read their lines and a pirate chorus reacts in the background. No computer mixing here, just old-fashioned radio. Capt F. and Wildman talk with one of the originators of “Talk Like A Pirate Day”. 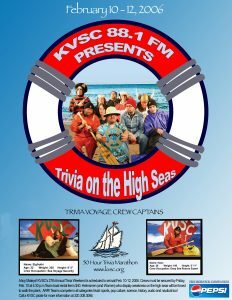 The interview was supposed to be live during KVSC’s Newswatch program prior to the contest beginning. Unfortunately, a strange power outage on campus affected the phones and the interview had to be recorded later and aired in the hour prior to question one. The Posse wondered if it was a glitch or the work of Pirates!